Kiducation: Let us make education a pleasure and not a Parrot’s Training! Let us make education a pleasure and not a Parrot’s Training! As we move into yet another academic year, its time to take a pledge as educators that we will ensure that education is a pleasure and not a pain for the children in our schools and colleges. 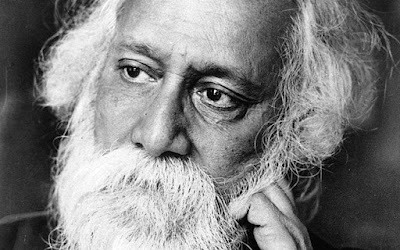 This story written, The Parrot’s Training, by Rabindranath Tagore, a satire on the education system is sadly relevant even today. Let us together ensure that it is no more relevant in our education system. Once upon a time there was a bird. It was ignorant. It sang all right, but never recited scriptures. It hopped pretty frequently, but lacked manners. He called his nephews to his presence and told them that the bird must have a sound schooling. The pundits were summoned, and at once went to the root of the matter. They decided that the ignorance of birds was due to their natural habit of living in poor nests. Therefore, according to the pundits, the first thing necessary for this bird’s education was a suitable cage. The pundits had their rewards and went home happy. A golden cage was built with gorgeous decorations. Crowds came to see it from all parts of the world. “Culture, captured and caged!” Exclaimed some in a rapture of ecstasy, and burst into tears. The goldsmith filled his bag with money and lost no time in sailing homewards. The nephews brought together an enormous crowd of scribes. They copied from books, and copied from copies, till the manuscripts were piled up to an unreachable height. The scribes with light hearts, hurried home, their pockets heavily laden. The nephews were furiously busy keeping the cage in proper trim. Men were employed in large numbers, and supervisors were still more numerous. These with their cousins of all different degrees of distance, built a palace for themselves and lived there happily ever after. Whatever may be its other deficiencies, the world is never in want of fault-finders; and they went about saying that every creature remotely connected with the cage flourished beyond words, excepting only the bird. The nephews said in answer: “Sir, let the testimony of the goldsmiths and the pundits, the scribes and the supervisors, be taken, if the truth is to be known. Food is scare with the fault-finders, and that is why their tongues have gained in sharpness”. The explanation was so luminously satisfactory that the Raja decorated each one of his nephews with his own rate jewels. The Raja at length, being desirous of seeing with his own eyes how his Education Department busied itself with the little bird, made his appearance one day at the great Hall of Learning. From the gate rose the sounds of conch-shells and gongs, horns, bugles and trumpets, cymbals, drums and kettledrums, tomtoms, tambourines, flutes, fifes, barrel-organs and bagpipes. The pundits began chanting mantras with their topmost voices, while the goldsmiths, scribes, supervisors, and their numberless cousins of all different degrees of distance, loudly raised a round of cheers. “Indeed, I have not!” Exclaimed the Raja, “I completely forgot about the bird. Turning back, he asked the pundits about the method they followed in instructing the bird. It was shown to him. He was immensely impressed. The method was so stupendous that the bird looked ridiculously unimportant in comparison. The Raja was satisfied that there was no flaw in the arrangements. As for any complaint from the bird itself, that simply could not be expected. Its throat was so completely chocked with the leaves from the books that it could neither whistle nor whisper. It sent a thrill through one’s body to watch the process. The time, while remounting his elephant, the Raja ordered his State Ear-puller to give a thorough good pull at both the ears of the fault-finder. The bird thus crawled on, duly and properly, to the safest verge of inanity. In fact, its progress was satisfactory in the extreme. Nevertheless, nature occasionally triumphed over training, and when the morning light peeped into the bird’s cage it sometimes fluttered its wings in a reprehensible manner. And, though it is hard to believe, it pitifully pecked at its bars with the feeble beak. “What impertinence!” Growled the kotwal. The blacksmith, with his forge and hammer tool his place in the Raja’s Department of Education. Oh, what resounding blows! The iron chair was soon completed, and the bird’s wings were clipped. With text-book in one hand and baton in the other, the pundits gave the poor bird what may fitly be called lessons! The kotwal was honoured with a title for his watchfulness, and the blacksmith for his skill in forging chains. Nobody had the least notion how long ago this had happened. The fault-finder was the first man to spread the rumour. “Does it hop?” The Raja enquired. “Bring me the bird,” said the Raja. The bird was brought to him, guarded by the kotwal and the sepoys and the sowars. The Raja poked its body with his finger. Only its inner stuffing of book-leaves rustled. Outside the window, the murmur of the spring breeze amongst the newly budded Asoka leaves made the April, morning wistful.